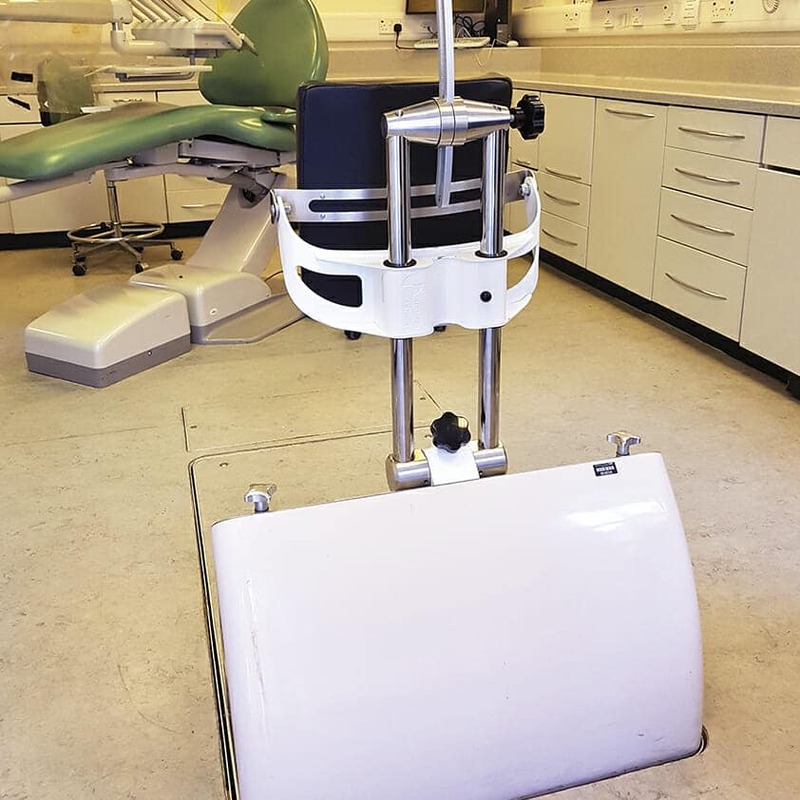 A tilting wheelchair platform, installed directly into the floor, that allows dental patients to remain in their own wheelchair during medical treatments. The Full Function Wheelchair Platform is truly at the pinnacle of wheelchair dental treatment solutions. It can be installed in any floor and provides ultimate control and access for wheelchair bound patients. As the Full Function mechanism is discretely housed below the floor level it leaves a maximum amount of space in the surgery to allow for other equipment to be used or for general circulation. You also have the ability to remove the backrest to provide a totally free floor, leaving the mechanism perfectly hidden from view.